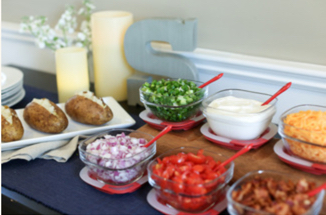 The Stafford PTA Hospitality team is serving a baked potato and soup bar to school staff Friday, November 29. We need your help to provide a delicious meal to our hard-working teachers and administrative staff. We still have a few slots available for food items, as well as setup and cleanup. Sign up now and thank you for everything you do for our wonderful staff at Stafford.